Buzz Into Kinder: Welcome In! 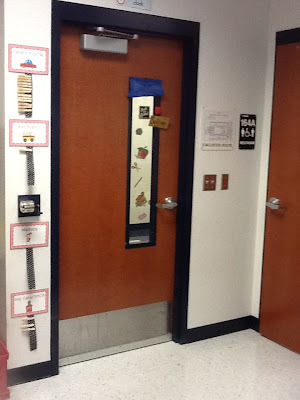 After months of blog stalking and making things to use in my own classroom I decided to make a teachers pay teachers store—just to try it out. 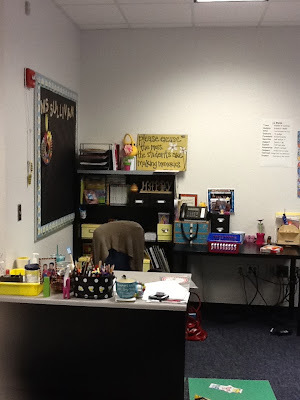 Now I am jumping into the blog world with two feet starting with a tour of my classroom. 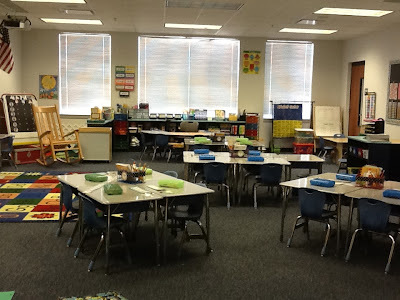 These pictures are from the “before.” Before glue on desks, paper scraps on the floor, crayon on the tables, and while the pencils are still sharp -- stay tuned to see what happens after the kids arrive. This is the view of my room right when you walk in the door. My desk is to the left and cubbies are to the right. In the distance you can see my small group table. These are my cubbies. 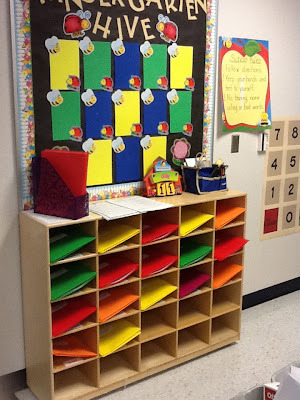 The bulletin board above my cubbies will hold a picture of each student. Below is my teacher area. Students will also use the desk on the wall when they use my IPAD at centers. This view is looking back at the door. The transportation signs were a pinterest project over summer! Check back for more pictures of my small group area, whole group area , word wall and student desks soon!